Over the last several weeks’ nor’easters left quite a mess in Pennsylvania and New Jersey. Thousands of residents in Bucks, Montgomery, Philadelphia, Chester, Camden, Burlington and Atlantic counties went without electricity and impassable roads for days, some over a week. Damaged vehicles, businesses, and homes are adding stress to many of these residents. If a tree or trees fall on your home or building, your property insurance will cover removal of the tree, tree debris removal off your property, and structure repairs due to damage. 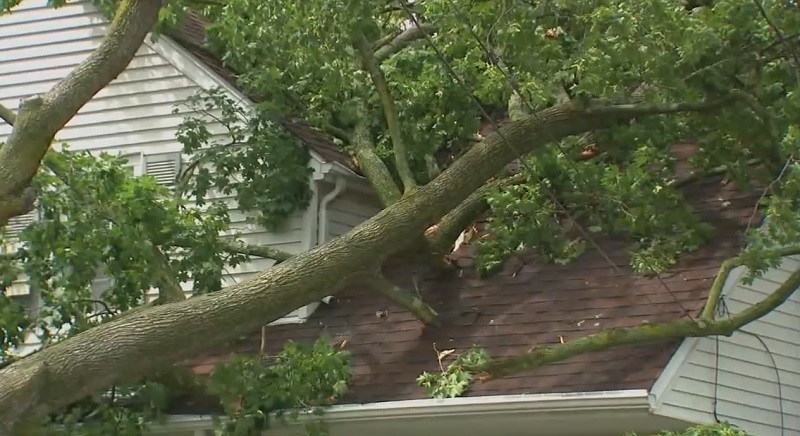 If your tree or trees fall on a neighboring home or business, your neighbor’s insurance policy would provide coverage. The same is true if your neighbor’s tree falls on your building; you would file a claim with your own insurance carrier. Wind-related damage to a house or business, its roof, its contents and other insured structures on the property is covered under a vast majority of insurance policies. Wind-driven rain that creates an opening to your building and enters through this opening is also covered. If fallen trees or branches damage your vehicle, you would need to file insurance claim using your vehicle insurance policy’s comprehensive coverage. Comprehensive car insurance covers damages from events that are not caused by a vehicle driving into another vehicle. This would include things like damage from a large tree falling into your car or a deer running into your car. Since you have no control over these events, this kind of accident would be covered under your comprehensive section of your policy. Take immediate action to prevent further damage. Make temporary repairs before an insurance adjuster arrives and save receipts to document the repairs. Call in a public adjuster to file a your claim with your insurance company. Provide correct information to your public adjuster. Be certain to give your adjuster all the information they need. Incorrect or incomplete information will only cause a delay in processing your claim. If your home is damaged to the extent that you can no longer live there, the additional living expenses section of your policy will cover your out of pocket expenses for accommodations until your repairs are completed. If you stay in a hotel or any other temporary living quarters, keep your receipts for reimbursement. Schedule a time for an adjuster to inspect the damage to your property. Your public adjuster will document all the damages to your property. Help him by preparing your own list of the damaged property. Prepare a list of lost or damaged articles. Avoid throwing out damaged items until the insurance company adjuster has visited your property . Consider photographing or videotaping the damage. Do not rush into a settlement. The first offer made by the insurance company will most likely not meet your expectations, let your adjuster have some time to negotiate to get a fair settlement. If you have any questions regarding the fairness of your settlement, discuss it with your public adjuster. Insurance policies can vary, it is extremely important to get professional help from the onset of the claim. After a loss, consult with AAA Public Adjusters and schedule a free consultation. Call toll free 800-410-5054 or visit their website at https://www.AAAPublicAdjusters.com.